A couple commas richer and I’m still mobbin with my niggas brah…. You may remember my raving ramblings about Lord Huron from some of our earliest blog posts. The lush and exotic sounds really create a unique atmosphere that I haven’t heard in any other artists. And now, after releasing two amazing EPs, it looks like Lord Huron is back with his first ever album. Oddly enough, the album seems to be based off of a series of books by the mysterious author George Ranger Johnson, who is actually a figment of the band’s imagination. They really went all out on this one, creating a fake website with tons of information on the guy and his books. Real or Not, a few weeks ago the band released the first single from the album, “Time to Run” based on one of Johnsons “novels.” The song and video tell the story of a man going to great ends for the woman he loves, no matter the cost. It’s a great video shot in old-fashioned technicolor style with foreign subtitles to match (and man do I wish I could understand what they meant). The song itself is one of Lord Huron’s more upbeat tunes sounding as close to a road trip song as the band can get with jangly drums and ecstatic backup vocals. Check out the video above and look at this website for more Lonesome Dreams. Frightened are set to release their latest EP soon and last week they released one of the tracks called “State Hospital.” Yesterday they released a video to accompany the triumphant song. While the video is admittedly very depressing until the last shot, the music keeps you going all the way to the end. Check it out above, see the tour dates below and look for State Hospital in the coming month. Amidst the techno bleeps and bloops of Superhumanoids new single, “Too Young For Love” is the sound of someone crying out for company, for love. Someone desperate for the touch of another, but knowing they can’t have it, or maybe, they can’t handle it. It takes the every-day love song and flips it on it’s head, which is very appropriate for this new band. 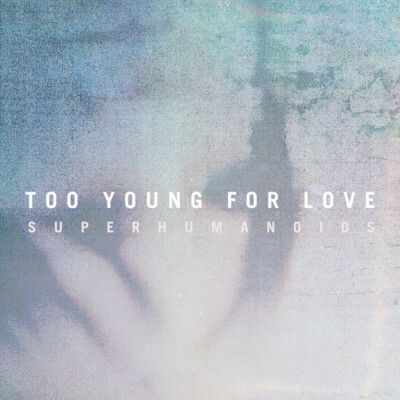 Already making headway at this years SXSW and getting set to go on a tour with some of indie rocks biggest names, Superhumanoids take an eclectic approach to their music, combining electronic, pop and many other styles from many decades to create a sound all their own. Check out the single below for a small taste of what this band can do. I often find myself listening to “sad music.” The type of songs that are sung by a quiet singer accompanied by just piano or guitar; songs about death or empty relationships. 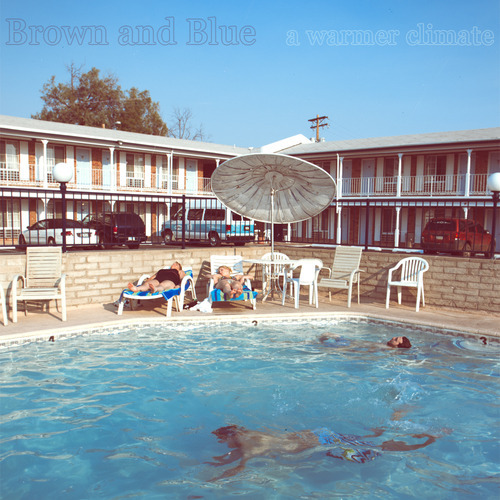 These are the songs that make me feel all intense and emotional and “deep.” But those types of songs don’t always have to take on that atmosphere, as Brown and Blue so cleverly prove in their latest EP A Warmer Climate. The LA band fuze Americana and Rock to make songs that sound upbeat and comforting, but on closer appearance aren’t as pleasant as they sound. 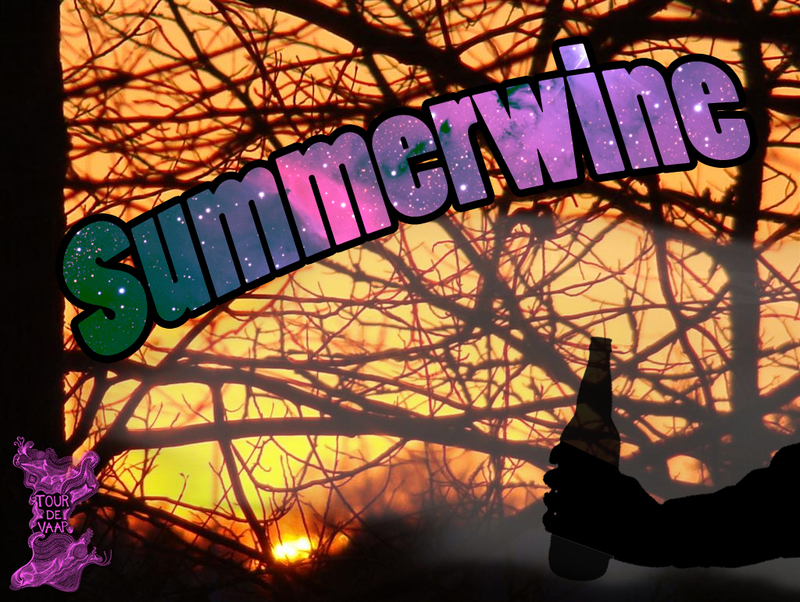 The album deals with loss, boredom and isolation tinged with summer bliss. The opener, “Broked,” has an infectious chorus with a lead guitar to match, but the song refers to an emptiness that we often experience. That feeling of having nothing to do and nowhere to go and hoping, praying that that can’t be it, that life is going somewhere. And the album continues in that vain for the next three songs. “Stay” is classic americana that sounds somewhat like Philly band Dr. Dog. “City” features a killer slide guitar and singer Danny Nogueiras screaming out “I know, that I wanted more/but I feel useless here” to the beat of a snare drum as if marching to his determined fate. The EP closes with the Futurebirds-esque “All Hail,” a powerful closer about loosing everything you love. As different as the sound and lyrics seems, their is a truth to both that melds in a way rarely heard in music today. Brown and Blue prove you don’t have to sound sad to be sad and that the summer isn’t all fun and games. Check out a sampling below or on bandcamp and be sure to get the full EP which came out a few months ago.